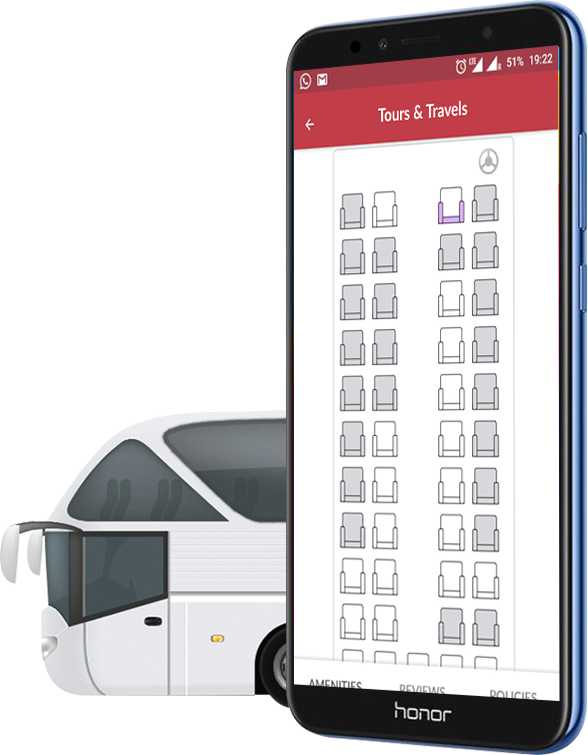 redBus is one of the leading bus booking portals in India. Founded in August 2006, redBus covers 2,000 bus operators including over 100,000 routes across countries. With its mobile app downloaded by over 7.5 million loyal customers, redBus is the largest community of bus travellers in the world. Based in India, redBus has presence in Singapore, Malaysia, Indonesia & Bangladesh. Red Bus is available as mobile app on iOS, Android and Windows Phone Store. One can choose bus based on bus operator, departure times, prices, bus types, pickup & drop off points, ratings & customer feedback. Choose from variety of buses including seater, sleeper, semi-sleeper, A/C, non A/C buses. Good app design is key to achieve app success. When the app is attractive, it grabs the attention of users and turns them into loyal users. Good UI and UX obviously costs more, but it can be reduced by following the best design practices. We do it. App on iOS is cheaper than on Android, as iOS needs to consider the screen sizes of lesser devices compared to Android. So it makes a difference in overall cost.App on iOS is cheaper than on Android, as iOS needs to consider the screen sizes of lesser devices compared to Android. So it makes a difference in overall cost. App size means the total number of features and functionalities the app will include. More features cost you more. But you can keep only key features in version 1 of the app in order to reduce the cost. Once your app is geared up, you can think about secondary features to add in the next version. 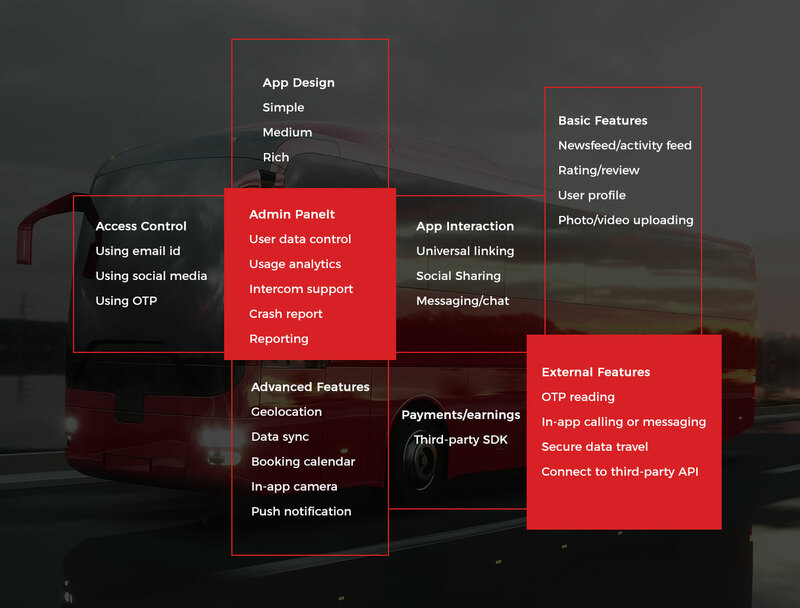 How Much FuGenX Charges to Develop redBus like App? We at FuGenX are a multiple Deloitte award-winning global mobile app development company. Big brands like Big Basket, Byju’s, and Bharat Petroleum chose us to build them successful mobile apps on multiple platforms. Share your idea with us at info@fugenx.com or fill up the form. Get instant quote first, Great service next. How much FuGenX charges to develop an Redbus like app? 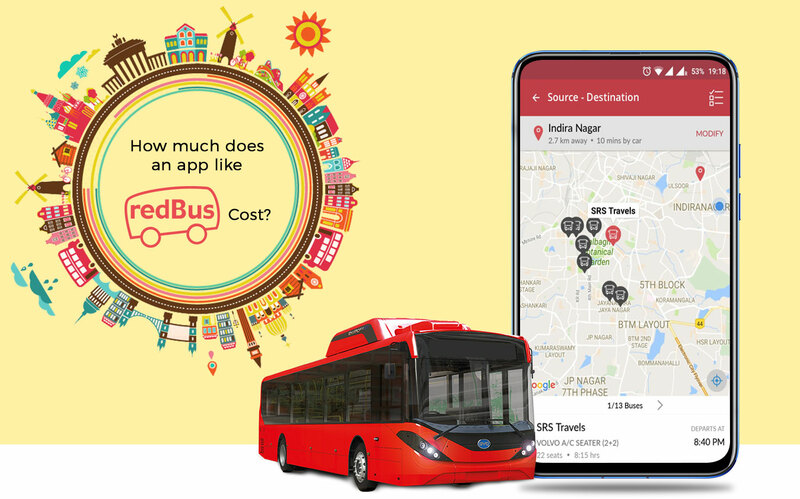 To get an instant quote for Redbus like app or to know the average/exact cost to make a travel app like Redbus, please reach us at now.